One of a kind, hand-built ceramic sculpture. 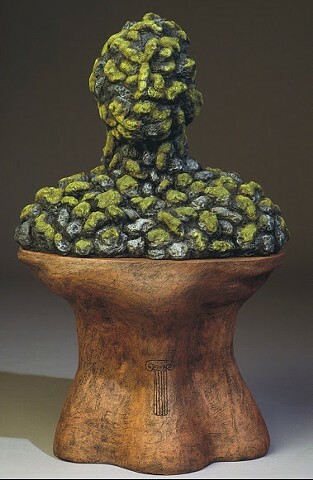 "Torso" pedestal is stained with glaze, bust is painted with acrylic paint. Indoor display only. 25" X 15" X 8"